On their latest release, veteran ska punk band Less than Jake has taken an amusingly odd turn. As a title like “TV/EP” may indicate, this is a covers collection of 16 theme songs and commercial jingles, few longer than one minute, reformed into the Less than Jake style. It works out really well. Trombone and bass player Buddy Schaub described Less than Jake’s newest offering as in keeping with the band’s tendency to veer off into strange territory. In our conversation, he noted other precedent-setting ventures from the band, including the Travolta-channeling ‘Greased’ EP, which would make an album like TV/EP feel inevitable, yet great fun nonetheless. Y Spy: TV/EP is a brilliant idea. What led you to make it? Buddy Schaub: Back in our early days, we used to cover [the theme songs of] Laverne & Shirley and Happy Days. 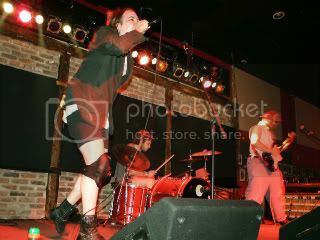 We used to do that live at shows and at some point we recorded a few of them. They were thrown together and half-assed, so for the last few years we had been talking about really doing it for real. The idea kept escalating, and eventually it came to be what it is now. The idea kind of came from how you can get those CDs that are all TV show themes. I’m pretty sure that some other band has done this, but we tried to do a completist ideal. The concept was like you were sitting on a couch in front of a TV, changing channels. 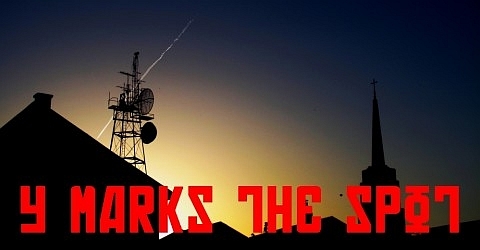 If you go to our website, we put a continuous stream of the commercials and TV shows that go with each song. I actually did the video myself. Having the videos go with the music was the culmination, the truest form of what the idea was. It’s definitely more of a complete picture, and there’s a little teeny clip of us I snuck in there. Y Spy: Why did you choose the particular themes and jingles that are on the album? Buddy Schaub: I don’t know. Laverne & Shirley we had done before, so we wanted to give that a fair shake. That was one of the first ones, and while we were practicing we’d brainstorm ideas. JR stays at my house when we’re doing stuff, and Chris came over a few times and we were going through YouTube videos. Once you Google one old 80s commercial, 65 of them come up and you keep going through. We picked songs that we thought we could pull off, stuff that was a bit of a variety and wasn’t all one time period. Yet there wasn’t a completely methodical plan to how it went. Y Spy: Was the making of the album a quick process? There are a lot of tracks on TV/EP, but they’re all really short. Buddy Schaub: It actually came together really fast. I thought it was gonna take a little longer than it did. Once we had taken what we were gonna do we worked it out at the Warehouse a little bit. At a certain point we just started recording them. We did it all at Roger’s house. Once we got the drums down and started putting down the basic tracks it was really easy to start layering the other stuff. You don’t have to worry about writing lyrics because they’re already there. It was a great experience because the songs are short and the commercials are even shorter. But they pack so much songwriting into that little bit of time. There are crazy harmonies, still a verse chorus verse, a bridge sometimes. They still manage to pack a full song into a minute, so it was really cool to get into the head space of people that write jingles and TV show themes. Y Spy: Are you going to be playing these songs live? Buddy Schaub: We’ve been doing a bunch of weekend shows and throwing them in there. We’re not going to do the whole album or anything, but we’ve been playing four or five of the songs. Y Spy: One of the great things about this album is that you’re not taking yourselves too seriously as musicians, and you’re just having fun. Was the intention to get out of your usual mindset and do something a bit sillier? Buddy Schaub: Yeah. We were getting ready to write some new stuff, and we hadn’t done it in a while, and we thought it was a good way to get back into the swing of things. We still had to do some sort of writing for this and make the songs our own. It was a good warmup. Y Spy: You’ve announced a new U.S. tour. What are its details? Buddy Schaub: We’re coming back in January after going to Japan and Europe. It’s starting mid-January, we end somewhere in California in February, and we fly over to Australia to do the Soundwave Festival. It’s pretty much all over the U.S., and it’s with two bands called the Supervillains and Off with Their Heads. We’re still figuring that out. Y Spy: Are you preparing a full album? Buddy Schaub: We’re definitely writing songs. I’m not sure exactly what we’re going to do with them yet. We’ve already got ten shelves of songs that we got done before this onslaught of touring that we’re getting ready to start up. After we come back in January, we’re gonna either try to finish demoing out some of the ideas or see how far we can get with them. I’m not sure what our plans are yet, but there will be new material. Hopefully you’ll be hearing original music from us in the upcoming year. Never fear! There’s always new stuff to be written! TV/EP is available now. 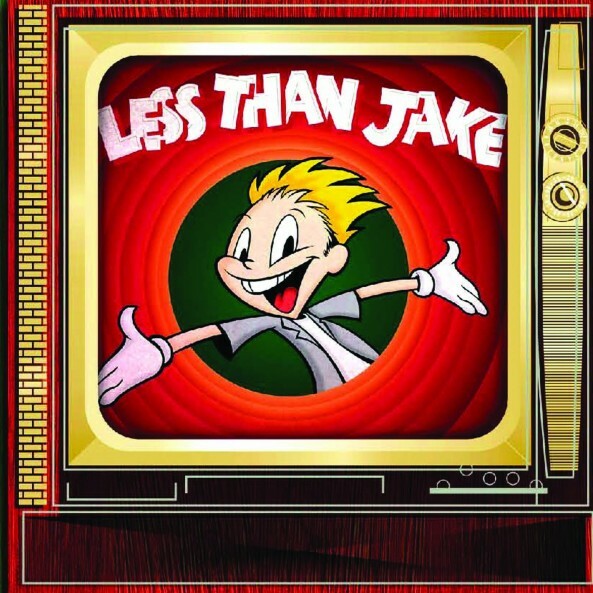 More information can be found at www.lessthanjake.com.